I’ve decided to bring another round of Make the Green Switch (previous posts – here). 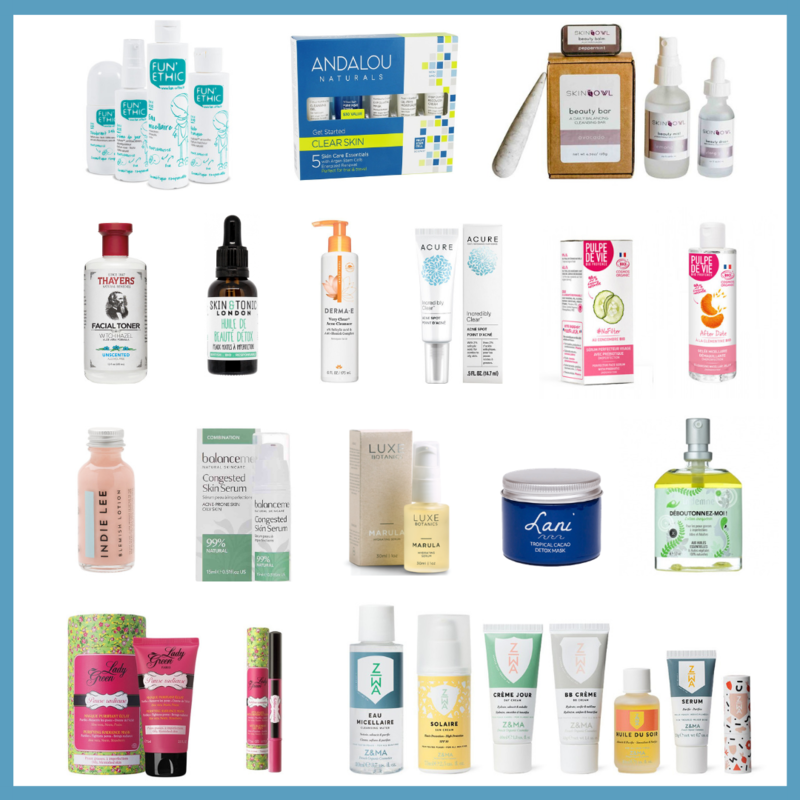 I must say that this year, the number of new product releases in the green beauty world has been unparalleled and it’s becoming quite easy to lose track of all the new launches. I’ve incorporated some fresh new products and as usual, we have a mixture of makeup and skincare. Hope you enjoy it. Part of the Shine Bright holiday collection, Elate has throughout the years come up with really vibrant eyeliners and this year, the gold eyeliner made its appearance. Nested in a beautiful bamboo packaging, it is the epitome of eco-chic. A water-resistant formula (I say hallelujah since this used to be hard to find in green beauty!) with a stellar formula. Also vegan and cruelty-free. What’s not to love? Available on Nuciya (here). An eye gloss with a holographic sheen. This is quite trendy in makeup looks right now. I am enjoying the glossy effect on eyelids as well as incorporating shimmer and holographic sheen (#discoballface). That being said, I prefer to do it with the least synthetic products possible. None of the ingredients are considered as immediately hazardous but the diamond gloss is, in almost its entirety, made of synthetic polymers, thus not being the most suitable option for sensitive eyes. Ingredients: Triisodecyl Trimellitate, Hydrogenated Polyisobutene, Pentaerythrityl Tetraisostearate, Trimethylpentanediol/Adipic Acid/Glycerin Crosspolymer, Octyldodecanol, Glyceryl Behenate/Eicosadioate, Calcium Sodium Borosilicate, Dibutyl Lauroyl Glutamide, Dibutyl Ethylhexanoyl Glutamide, Tin Oxide, Titanium Dioxide (Ci 77891). Fresh from the makeup oven, Rituel de Fille has just released three new exciting eye soots that will add sparkles from outta space into your life. I’m head over heels in love with their highlighters and I’ll put Ara on my shopping list for the holidays. Rituel de Fille masters the iridescent and glowing effects like no other. Just have a look at their Instagram to be mesmerized by the shine (here). The eye soot has a gelee-like texture that turns the application seamless. As opposed to the Kevin Aucoin eye gloss, celestial sphere eye soots are mineral-based, contain less synthetic, and a bunch of rich, moisturizing ingredients such as castor seed oil, beeswax, and jojoba. Available on Cultbeauty (Europe) and North America on The Green Jungle Beauty Shop. I remember when my beauty-obsessed cousin gifted me a little Clinique try-out set when I had entered the teenage years (aka the spotty phase ;). What my cousin thought was going to be the beginning of a skincare love affair was cut short when a few weeks later, I ended up with more breakouts than before. What bugs me is the lack of transparency with Clinique, the ingredients are not disclosed, and after several internet searches, I could only make captures of product pictures (links below). If you look at reviews at Sephora, you’ll see that it’s rated 4-5 stars, however by browsing other websites, I found a larger amount of negative reviews. The cleanser’s second ingredient is Sodium Laureth Sulfate (part of the dirty dozen): from there onwards, you’ll have a succession of synthetics and irritating ingredients. Exit Clinique, bonjour Oolution. The French eco skincare brand offers an amazing skincare set to help you determine the best products for you. Less is more is their philosophy, they believe in fewer products, but more potency. The trial kit features 5 samples, including their Glow Up, Whole Again, Check Matte, Age Out and Eye Love. The cherry on top? If you end up liking them and place an order, the kit will be refunded to you. 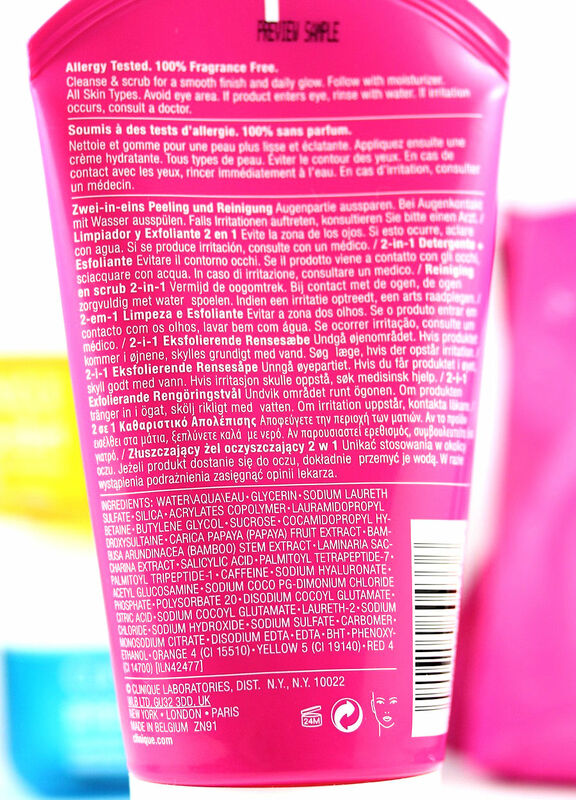 Below is the ingredient list for their Glow Up moisturizer; most of their products have this impressive list of ingredients because they perform as vitamins and nutrient-rich skin cocktails. Also, Oolution is fully transparent and committed to educating their customers which I personally find remarkable. Available on Oolution’s webstore. Ingredients: Aqua = Water (Basis of the emulsion),Citrus Limon Fruit Water = Lemon Fruit Water, Helianthus Annuus Seed Oil = Sunflower oil,Hydroxystearyl Alcohol (Emulsifier), Simmondsia Chinensis Seed Oil = Jojoba oil, Zea Mays Starch = Corn starch (Organic texturant non GMO), Propanediol (Viscosity control), Glycerin (Hydrates / Moisturizer), Alcohol (Plant extract solvant), Leuconostoc/Radish Root Ferment Filtrate (Co-preservative), Brassica Campestris Seed Oil = Canola oil,Cannabis Sativa Seed Oil = Hemp oil,Macadamia Ternifolia Seed Oil = Macadamia oil, Butyrospermum Parkii Butter = Shea butter, Argania Spinosa Kernel Oil = Argan oil, Camellia Oleifera Seed Oil = Green tea oil, Borago Officinalis Seed Oil = Borage oil, Carapa Guaianensis Seed Oil = Andiroba oil, Olea Europaea Fruit Oil = Olive oil, Linum Usitatissimum Seed Oil = Linseed oil, Cocos Nucifera Oil = Coconut oil, Prunus Amygdalus Dulcis Oil = Sweet almond oil, Theobroma Cacao Seed Butter = Cocoa butter, Punica Granatum Seed Oil = Pomegranate oil, Oenothera Biennis Oil = Evening Primrose oil, Perilla Ocymoides Seed Oil = Perilla oil, Citrillus Lanatus Seed Oil = Watermelon oil, Adansonia Digitata Seed Oil = Baobab oil, Passiflora Edulis Seed Oil = Passion fruit oil, Moringa Oleifera Seed Oil = Moringa oil, Bertholletia Excelsa Seed Oil = Brazil nut oil, Schinziophyton Rautanenii Kernel Oil = Mongongo oil, Rosa Moschata Oil = Musk Rose oil, Sclerocarya Birrea Seed Oil = Marula oil, Hydroxystearyl Glucoside (Emulsifier), Arachidyl Glucoside (Emulsifier), Xanthan Gum (Texture agent), Haematococcus Pluvialis Extract = ‘Haematococcus Pluvialis extract,Limonium Narbonense Flower/Leaf/Stem Extract, Adansonia Digitata Leaf Extract = Baobab extract, Chlorella Vulgaris Extract, Spirulina Platensis Extract, Equisetum Arvense Extract = Horsetail extract, Althaea Officinalis Leaf/Root Extract = Marshmallow extract, Olea Europaea Leaf Extract = Olive extact, Vanilla Planifolia Fruit Extract = Vanilla extract, Aesculus Hippocastanum Extract = Horse Chestnut extract, Arctium Lappa Root Extract = Burdock extract, Centaurea Cyanus Flower Extract = Cornflower extract, Viola Tricolor Extract = Pansy extract, Medicago Sativa Extract = Lucerne extract, Theobroma Cacao Extract = Cocoa extract, Ginseng Panax Root Extract, Camellia Sinensis Leaf Extract = Green Tea extract, Symphytum Officinale Leaf Extract = Comfrey extract, Nasturtium Officinale Extract = Watercress extract, Helianthus Annuus Sprout Extract = Sunflower extract, Calendula Officinalis Extract, Vitis Vinifera Leaf Extract = Vine extract, Daucus Carota Sativa Extract = Carrot extract, Lycium Barbarum Fruit Extract = Goji extract, Propolis Extract = Propolis Extract, Echinacea Purpurea Extract = Coneflower extractm, Morus Nigra Fruit Extract = Blackberry extract, Physalis Alkekengi Fruit Extract = Physalis extract, Portulaca Oleracea Extract = Purselane extract, Hippophae Rhamnoides Extract = Sea Buckthorn extract, Adansonia Digitata Pulp Extract = Baobab pulp extract, Mimosa Tenuiflora Bark Extract,Sodium Haluronate = Hyaluronic acid, Undecylenoyl Glycine (Co-preservative), Glyceryl Caprylate (Co-preservative), Citric Acid (Neutralizer), Sodium Hydroxide (Neutralizer), Phytic Acid (Antioxidant), Arachidyl Alcohol (Emulsifier), Behenyl Alcohol (Emulsifier), Tocopherol (Antioxidant), Cananga Odorata Flower Oil = Ylang-ylang essential oil, Citrus Limon Peel Oil = Citrus essential oil, Daucus Carota Sativa Seed Oil = Carrot essential oil, Helichrysum Italicum Flower Oil = Helichrysum essential oil, Lavandula Angustifolia Oil = True Lavander from Provence essential oil, Pogostemon Cablin Oil = Patchouli essential oilg,Zingiber Officinale Root Oil = Ginger essential oil, Fragrance = Perfume, Eugenol, Linalool. I picked the Make face primer, but you could pick any primer with SPF. The SPF is partially mineral-based with the zinc oxide, but the use of octinoxate and octisalate is controversial. A growing number of studies are pointing out their association with endocrine disruption. 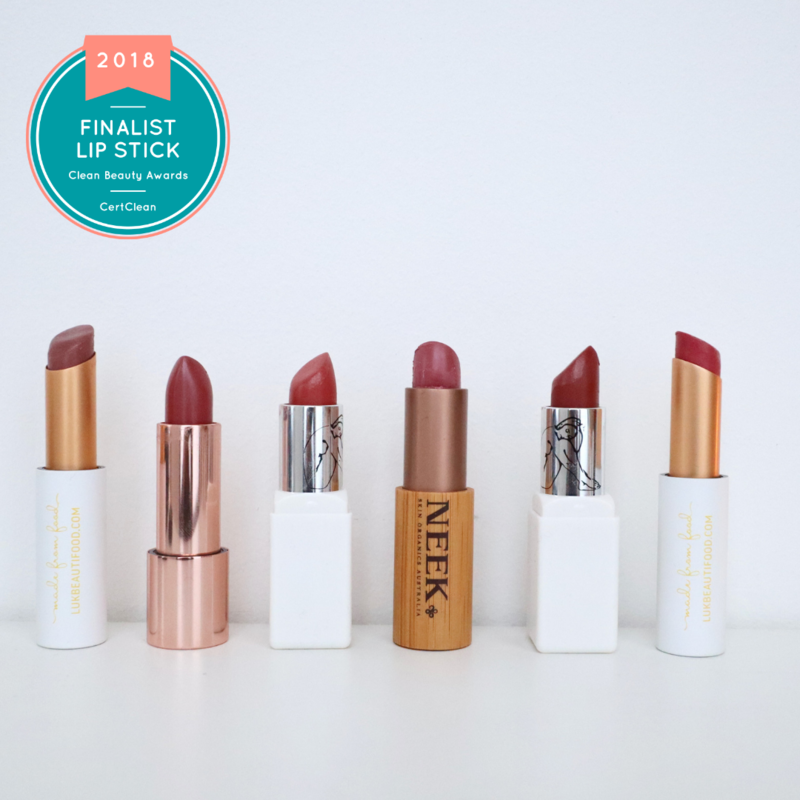 On EWG, they are rated 6 (link). Sticking to mineral sunscreen with zinc/titanium oxide (non-nano) is therefore, a ‘safer’ option. I tried a sample of it, ordered on Content Beauty and it unsettled me, but in the best way. The texture is thick yet easily spreadable, leaving no white cast nor turning the skin greasy. It did not cause any congestions, it made my skin feel perfectly moisturized. Efficient and effortless, it does exactly what it says. I’m well aware that the price is higher than the Make primer, but the pot of shade was one of the few green primers with SPF. You can always use a sunscreen as a base or a bb cream with SPF if you are on a tight budget. What do you think of these alternatives? Which products are you looking to replace?